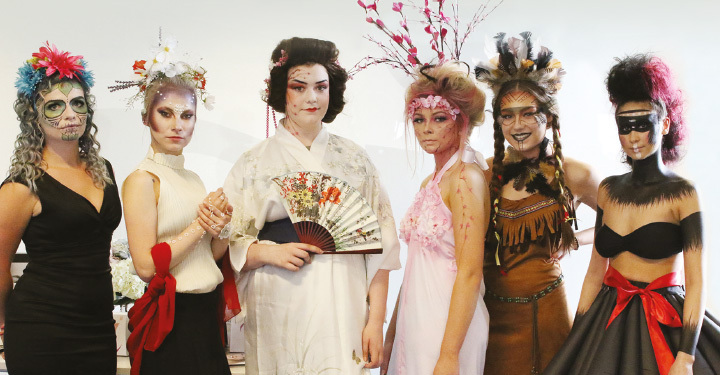 Looks a Winner: Student Make-Up Competition | iiaa Ltd | The UK and Ireland distributor of Environ Skincare, jane iredale makeup and Advanced Nutrition Programme. Six beauty therapy and make-up student finalists, selected from more than 200 entries, showed off their creative skills in the live final of our jane iredale® National Student Makeup Competition. Held at our prestigious head office in London, each showcased their fantastic abilities using jane iredale® products to re-create their make-up from around the world looks! We're pleased to announce that Amy Senior from White Rose School of Health and Beauty won the competition! Amy said "A lot of hard look went into the look, so I'm chuffed!" She went on to say that the training she received as part of being a finalist was great and she loved learning about the new techniques! Amy received £1,000 worth of jane iredale® products, 4 days intensive training and a day's work experience. Jennifer Edwards, College Programme Manager, said: “I was very impressed with all the finalists and it was a great achievement for them to get this far considering the number of entries we had. Well done to all!"